If you want to build real muscle, you need a lot of things. You need food, nutrition, protein, heavy lifting, and you need testosterone. If you’re levels are low, all your efforts and hard work will barely get you anywhere. And the cruel joke is that after the age of 30 or so, your testosterone levels start to fall big time. So if you want to continue to build muscle, ou’re going to need to supplement. For people with clinically defined low testosterone levels, there’s hormone replacement therapy which involves doctors, prescriptions, and needles. For the rest of us, who aren’t technically defined as low, but nevertheless want more, there are herbal supplements. Blue Star Neutraceuticals makes Status Testosterone Booster, and that’s the one we looking into today. A leaner more defined physique. Better blood flow for better workouts and better erections. The recommended dose changes depending on whether or not it’s a workout day. On workout days, take 2 Status Testosterone Booster capsules in the morning and another 2 before hitting the gym. On days without a workout, take 2 in the morning and 2 again before bed. Proprietary Blend which includes Testofen, Eurycoma Longifolia, and Saw Palmetto to increase the body’s own natural testosterone production and free up the testosterone you already have. Estrogen Inhibitors which includes Resveratrol and Chrysin to help stop the conversion of testosterone to estrogen. XD (Extreme Drug Delivery) which includes Piper Nigrum, Fumarate, and Succinate to help the body to best absorb the other ingredients in the formula. Additionally, Vitamin B6, Magnesium, and Zinc round out the formula to help facilitate the chemical reactions in the body that produce testosterone. It raises testosterone levels without prescriptions or needles. The primary ingredients have been tested on humans and shown to work. There’s a 60 day money back guarantee. We found no Status Testosterone Booster reviews from actual customers online. You can purchase Status Testosterone Booster through the Blue Star Neutraceuticals website or one of a few other bodybuilding supplement retailers. A one month supply retails for about $70. You’ll save on the monthly price if you buy multiple bottles at once. There’s a 60 day money-back guarantee if you buy through Blue Star. 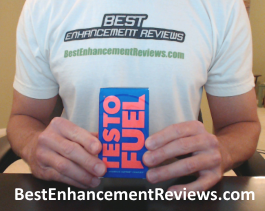 Coming from a reputable retailer who offers a money back guarantee, Status Testosterone Booster is a safe bet if you’re looking to improve your performance without using steroids. 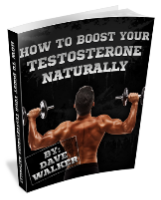 Its ingredients have been tested on humans and found to double your free testosterone levels. And if it turns out not to do as well for you, you can return it for a refund. Hi, I’m 36yo 135lbs. 5’8 I want to get bigger let it be weight or muscle. I dont care. Do you think testosterone boosters such as “Status” is a good ideal? Sorry for the late reply. T boosters will help, but you really need a surplus of calories to gain weight / get bigger. Status will help you reach your goal a little bit quicker though. Dave, I’m 52 yoa, 69″, went form 186 down to 163 trying to get into shape. Now that I have lost fat, I want to get bigger. What Testosterone would you recommend?